Let’s think of a situation where we as employees have to sit and individually rectify the issues faced by our customers. Doesn’t it sound complex and exhausting? What if the same task is performed with the help of technology? Now that definitely sounds impressive. Well! Chatbots and AI can actually execute the task easily and quickly with an automated process and make our lives easy. Chatbots are software programs that imitate human conversations whether written or verbal whereas Artificial Intelligence comprises of Natural Language Processing, Machine Learning and Deep Learning which enables Chatbots to learn various arrangements in the data. In the year 2016, Facebook created a sensation by introducing a Chatbot messenger. After looking at the success of Facebook, many other companies started integrating Chatbots with the help of web & mobile application development service providers. Customer Service is of great importance in any field as it allows the customers to interact as per their choice. A Chatbot and AI can become a part of the Mobile Application Development process in order to strategize and boost the business. Chatbots powered by AI are rapidly evolving and one needs to ensure that the business provides outstanding customer experience to its clients. 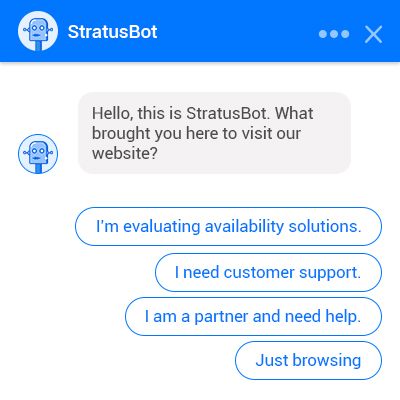 With the quick progressions in machine learning and Natural Language Processing, chatbots can helpfully comprehend clients’ inquiries and give them satisfactory answers which are fed in the database. A bot is integrated so that it can access the historical data and provide answers to queries raised by the customers and give them a smoother and comforting customer experience. These days a lot of businesses are implementing Chatbots in their Customer Relationship Management (CRM) Database with an intention to maximize and spread their business. 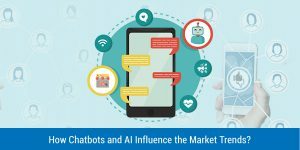 With the ever-increasing number of companies using API (Application Program Interface) to coordinate within their Chatbots, the interest has now shifted on bots that hold the ability to interact across platforms. Henceforth, we can hope to see a rise in various tools and technologies which will foster developers to build a Chatbot powered by AI that can communicate on voice calls to chat messages. As per Business Insider’s report, 48% of consumers prefer a Chatbot that solves issues over a human help. Adobe 2018, too, predicts that 31% of the top companies in the US intend to use Chatbot powered by AI in the upcoming year. Gartner, a world leader in IT research has already predicted that by 2021, more than 50% of the enterprises will spend more on Chatbots than mobile apps. Chatbots in mobile app developers have already started to be the face of AI. The motive behind Chatbots is to help and scale business groups in their relations with clients. They enable organizations to save a lot of time and money which is the reason numerous entrepreneurs are switching to this latest technology. The biggest advantage of Chatbot and AI is that they are very captivating and lively. They try to know more about the user’s taste and preferences. One does not need to download an application to be able to use a Chatbot and AI, thus saving a lot of space in your device. Mobile app users do not need to wait for hours or even minutes anymore to get a response. Chatbots are quick & highly responsive. You ask a query, and there will be a response in the shortest time possible. Chatbots handle multiple requests at a given time. This is seen as one of the major advantages that they hold. It is humanly impossible to handle many requests, but Chatbots make it possible thereby reducing the cost. In this contemporary world, Chatbots and AI are being fused in the sectors of E-commerce and Social Media. For instance, Amazon has magnified its sales force in this space. 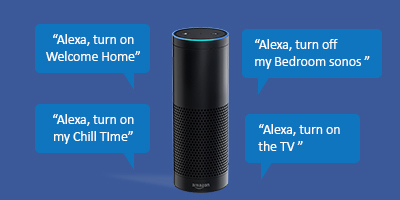 Amazon integrated its voice assistant, Alexa, into its native mobile app. It has creatively integrated messaging assistant into its mobile application and has been doing wonders for Amazon. Instagram too uses AI for engaging its users. E-COMMERCE: Chatbots are commonly used by the e-commerce business as they need to answer the queries of their users across the globe. E-bay’s ShopBot is a budding example of helping their users in shopping. HEALTHCARE: Chatbots are approaching in the field of practice management system in healthcare as consulting a doctor has become slightly difficult these days because of their tight schedule and expensive fees. So, in such a situation, a Chatbot plays the role of a doctor in diagnosing the disease. Buoy Health is a Chatbot which takes the medical details of the patient and offers them various solutions and steps for the same. MEDIA: Of lately, Chatbots are becoming successful in the field of news and publishing as well. They serve highly personalized and recommended content to their readers online. CNN, in recent times, has launched a mobile app with Chatbot incorporated in it. Chatbots have altered the manners in which organizations connect with their clients, and we have just begun the journey of revolutionizing Chatbots powered by AI. Despite the on-going challenges in developing a technology-based customer experience tool, it paves an opportunity to engage with customers in maintaining long-lasting relationships. Biz4Solutions has suggested many of its clients include Chatbot in mobile app development to get improved ROI and quick responses.